The polar nature of Chain & Cable Lube’s microcrystalline wax-based solution allows the product to “creep.” This action causes the lubricant to penetrate into the internal mechanisms of drive chains, sprocket teeth and seats. CCL™ protects against premature wear between steel cable strands. Holland America recently recommended CCL™ grease/lubricant to be used on all of its ships and its subsidiaries. Chains that are subjected to extreme tension tend to stretch between rollers and cease to seat properly. This causes premature wear of the sprocket and chain. Consequently, when the roller does not seat properly, this leads to premature wear on the teeth and seat of the sprocket. Wet lubricants (moly, graphite) are not effective under these conditions as they attract airborne contaminants and dust which have an abrasive effect on the different components, thus diminishing their lifespan. Steel cables are often exposed to extreme elements such as excessive humidity, water, or a high salt content in the air. Additionally, individual strands of cable are subjected to extreme pressure and constant abrasion as they rub against each other. 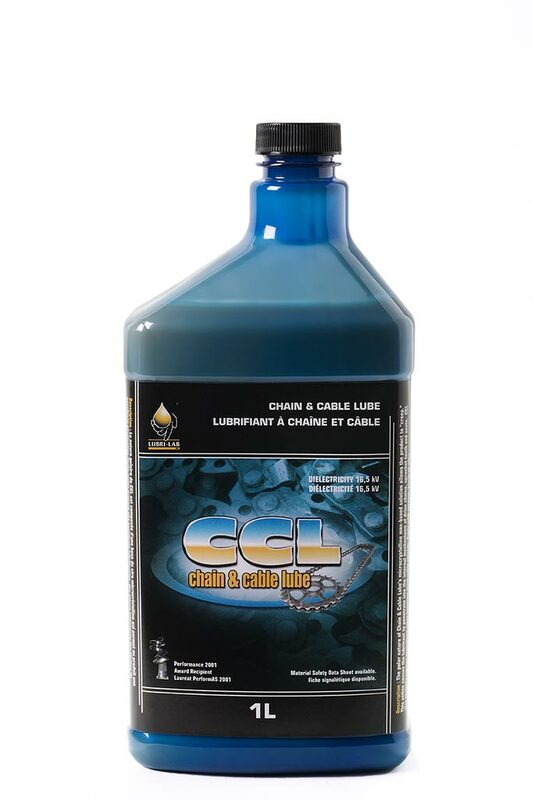 Lubri-Lab CCL™ penetrates and lubricates the inner mechanisms of rolling chains. Its extreme pressure properties help to maintain the original configuration between the moving parts while also preventing oxidation. The high basicity of CCL gives it excellent acid neutralization properties. CCL also minimizes wear of the teeth and seat of sprockets. Chains run with less friction and are therefore quieter. 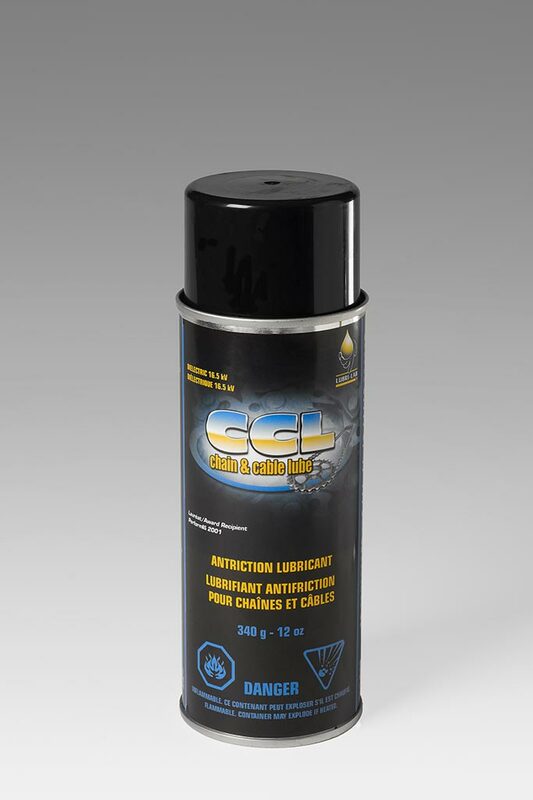 Dry to the touch, CCL™ will not attract dirt, dust, or airborne contaminants. Since CCL™ does not contain any heavy metals, it will not create an electrical arc when in contact with live wires. CCL™ has excellent resistance to water washout. It protects against premature wear between strands of steel cable.